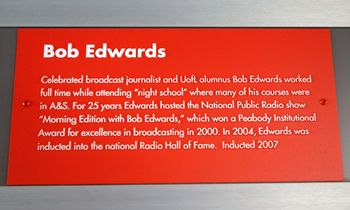 Bob Edwards, one of the most celebrated broadcast journalists working today, grew up in Louisville, Kentucky and graduated from St. Xavier High School in 1965. In his own words, he “is from the campus neighborhood” where he grew up near Eastern Parkway and Crittenden Drive. Because he had to finish his degree in four years to avoid being drafted without a degree, he worked full time and went to “night school” at UofL where many of the courses he completed were offered through A&S. Although he had little time for extracurricular activities, in his senior year he managed to start his radio career at WHEL in New Albany, Indiana. Mr. Edwards finished his degree in the allotted four years and was drafted into the Army. While in the Army, he produced and anchored TV and radio news programs for the American Forces Korea Network (AFKN) in Seoul. After completing his service, Mr. Edwards moved to Washington, D.C. and worked as an anchorman on an all-news CBS affiliate while earning a master’s degree in broadcast journalism from American University. At age 25, he became a correspondent with the Mutual Broadcasting System. Mr. Edwards joined NPR in 1974 and was co-host of NPR’s evening news magazine, “All Things Considered,” until 1979 when he helped launch “Morning Edition.” He was host of “Morning Edition” for 25 years, attracting more than 13 million listeners weekly. Mr. Edwards is currently the host of XM Public Radio’s program “The Bob Edwards Show,” and PRI’s “Bob Edwards Weekend.” Both shows feature in-depth interviews with newsmakers, journalists, entertainers and other compelling figures. He is the author of two books: Fridays with Red, which chronicled his radio friendship with legendary sportscaster Red Barber, and Edward R. Murrow and the Birth of Broadcast Journalism. 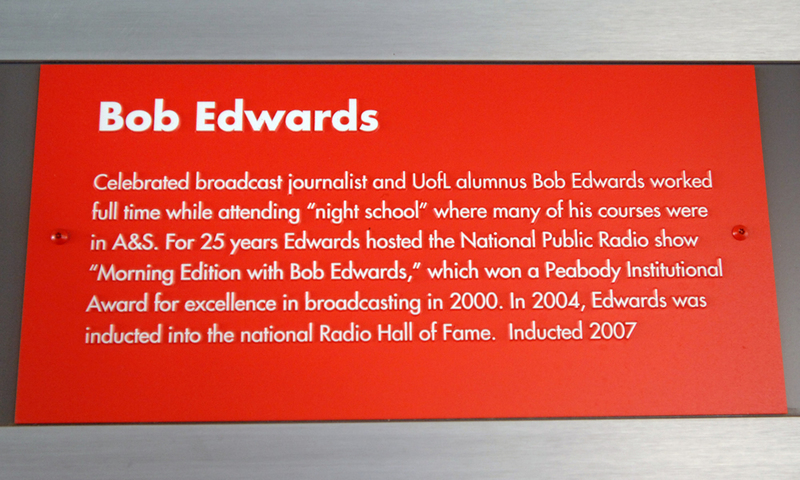 Bob Edwards is among the most distinguished journalists in broadcasting. He has won the duPont-Columbia Award for radio journalism and the Edward R. Murrow Award from the Corporation of Public Broadcasting for outstanding contributions to public radio. 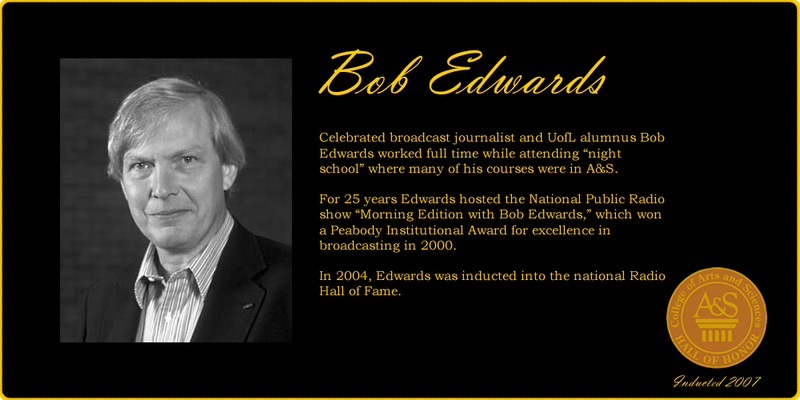 In 2000, “Morning Edition with Bob Edwards” received a prestigious Peabody Institutional Award for excellence in broadcasting. 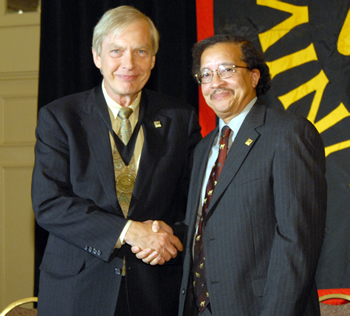 In November 2004, Mr. Edwards was inducted into the national Radio Hall of Fame.